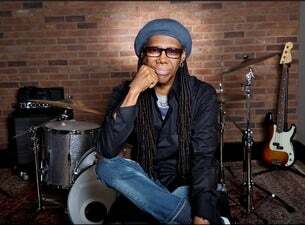 New York-based Grammy Award winner Nile Rodgers has celebrated success both as an artist and producer, working across a range of genres. He's been inducted into the Rock and Roll Hall of Fame and the Songwriter’s Hall of Fame, having produced work by the likes of Diana Ross, David Bowie and Madonna. Rodgers has also collaborated with Daft Punk, Avicci and Sigala in recent years. Formed in the '70s with the since departed Bernard Edwards, Rodgers is also the co-founder of CHIC. The band pioneered a musical language that generated numerous top 10 pop hits like Everybody Dance, Le Freak, I Want Your Love and Dance, Dance, Dance – plus their song Good Times sparked the advent of hip hop. In September 2018, Nile Rodgers and CHIC released It's About Time, their first new album in 25 years. The suitably titled full-length record follows 2015’s release of the outfit’s first new song in years, I’ll Be There.